Our home is a modern brick semi-detached house in the suburb of Swords, Co. Dublin. It is a comfortable modern home with the usual mod cons, it has two double bedrooms and a single and one bathroom. A small manageable front garden and a south west facing back garden that gets lovely sunshine for the most of the day and long into the long summer nights. There are shops and schools within walking distance and there is a lovely park with a river within walking distance. 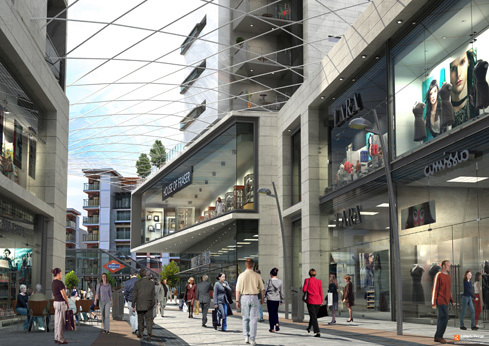 The suburb of Swords is a vibrant and modern village and is the largest town in north country Dublin. The village has a shopping centre with cinemas and there are a variety of pubs, restaurants and cafes. Dublin airport is five minutes drive away which is extremely useful when travelling. Due to it's position in north country Dublin we can access several blue flag beaches, such as Malahide, Donabate and Portmarnock within a fifteen to twenty minutes drive. Dublin city is approximately thirty minutes drive away. We are a family of two adults and two children ages of children are 12 and 8. We are Irish/Australian citizens and are taking the step of migrating back to Australia in January 2013. We lived in Australia for 8 years during the 1990's early 2000, mostly in the North Shore area, however we bought a house in the western suburbs in early 2000. On our return in January we are looking to settle in the North Shore area as we are very familiar with it also it is where the majority of our friends live. A house swap would be the ideal solution for us initially as I would be delighted to hear from interested parties.